The American College of Greece was recently awarded at the Facilities Management Awards (FMAs), with first-place in the Educational Institutions & Sustainability section for sustainability practices. These annual awards highlight and award the best practices in the facility management of business establishments, organizations, institutions and service providers. This year’s FMAs were held on November 3, and awarded first-place to ISS FACILITY SERVICES A.E. on behalf of their work at The American College of Greece, in the Education Section. This is a tremendous honor for ACG, as it recognizes the remarkable effort that has been made to improve the overall sustainability of our campus, with the trusted help of ISS. 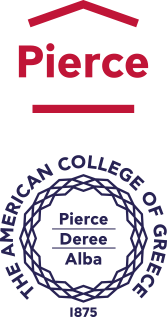 The American College of Greece has fully embraced the vision of a sustainable learning community, which is based on collaboration, integration and interconnectedness within the College, and between the College and the local community. The College has solidified its commitment by registering to the Sustainability Tracking, Assessment & Rating System (STARS Validation) where it has been awarded the Bronze medal. The Facility Management Awards are increasingly significant, as they promote practices which are responsible, sustainable, safe, and economical. Furthermore, it is important to support the growing field of Infrastructure Management which, according to studies, is limited to less than 1% in the Southeast European countries. This year’s awards were held in collaboration with the Hellenic Facilities Management Association and the honorary support of the Hellenic Maintenance Society and the American Society of Civil Engineers. For more information on sustainability at ACG please click here, and for the Center of Excellence & Sustainability, here. 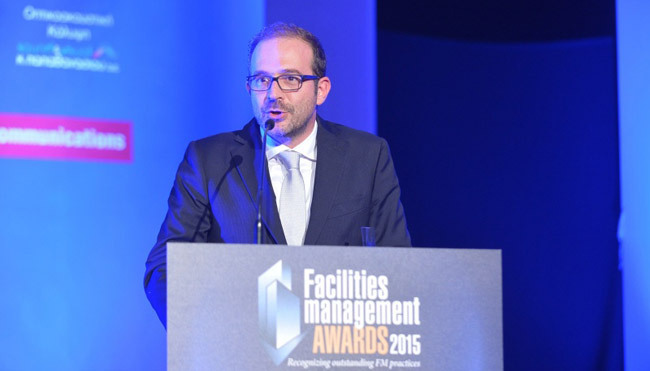 More information on the Facility Management Awards 2015, can be found on their website.